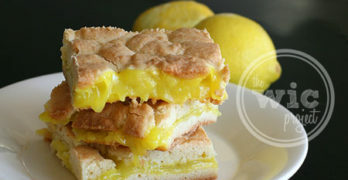 There are many ways to experience the Bible. 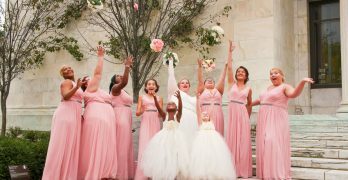 It can be through reading, through prayer, or visually. Sometimes it helps to be able to put pictures to words through films and movies that provide visual references to many of the people and locations that many of us read about on a daily basis. 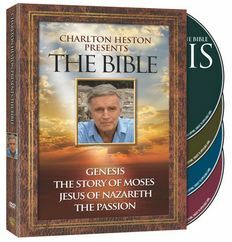 Charlton Heston Presents The Bible consists of four films featured on single DVDs: Genesis, The STory of Moses, Jesus of Nazareth and The Passion, all vividly narrated by the late Charlton Heston (Ben-Hur, The Ten Commandments), and each with at 28-minutes behind-the-scenes featurette. Hosted by Academy Award-winningg actor Charlton Heston and filmed entirely on location in the Holy Land, from Beit She’an, Jericho, Jerusalem, the NEgev Desert, the Red Sea to the Sea of Galilee, Charlton Heston Presents The Bible combines dramatic readings by Heston of passages from the Old and New Testaments with historical commentaries in the land where these stories took place. 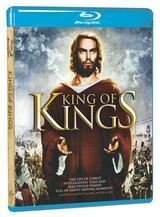 Jeffrey Hunter, Rita Gam, Harry Guardino, Rip Torn, and Robert Ryan star in King of Kings which is widely regarded as one of the finest cinematic retellings of the life of Jesus Christ and is now brought to life as never before on stunning Blu-ray Disc. The film was directed by Nicholas Ray and produced by Samuel Bronston and tells of the life of Jesus Christ, from the Nativity to the Resurrection, and His sacrifice for humanity. Released on March 29, 2011, Charlton Heston Presents The Bible on DVD is a four-disc series that follows Charlton Heston as he journeys through the Holy Land providing an authentic backdrop while he reads important passages from the Bible. There are very few actors who could get away with a film that is straight story-telling, and Charlton Heston is one of them. Charlton Heston taps into his wonderful acting ability when he reads from the Bible. He expresses and interprets each line with so much feeling and emotion, it’s easy to get caught up in the story-telling. You almost forget that you might have read that passage several times already. By filming in the Holy Land, Charlton Heston is able to provide viewers with peeks into the area where Moses and Jesus once walked. He provides bits of cultural history that paint an overall picture of the stories in the Bible, while the ruins and the pictures that are shown during his narration help bring the Bible to life even more. King of Kings was originally filmed in 1961 and was just released on Blu-Ray DVD on March 29, 2011. The quality of the film is impressive – the colors and the scenery were vibrant. The producers tweaked the story-line a little bit so the King of Kings isn’t a literal movie-version of the Bible. They beefed up some of the scenes involving the Romans, which made the movie a little more action-oriented. I enjoyed some of the stories that they portrayed from the Roman perspective – particularly the story of Roman soldier, Lucius, and his transformation of faith.They also added an interesting back-story between Barabbas and Judas. The overall spirit of Jesus remained intact – showing his message of peace and love. There are also some amazing scenes that show Jesus healing and preaching to the people. Overall, the movie is an entertaining and well-filmed version of the life of Jesus. If you’re looking for informative and entertaining Biblical movies to add to your collection, you can’t go wrong with Charlton Heston Presents: The Bible and King of Kings. With these two movies, you have both the traditional story-telling version of parts of the King James version – from Genesis to Jesus along with a more “modern” and exciting presentation of the life of Jesus.